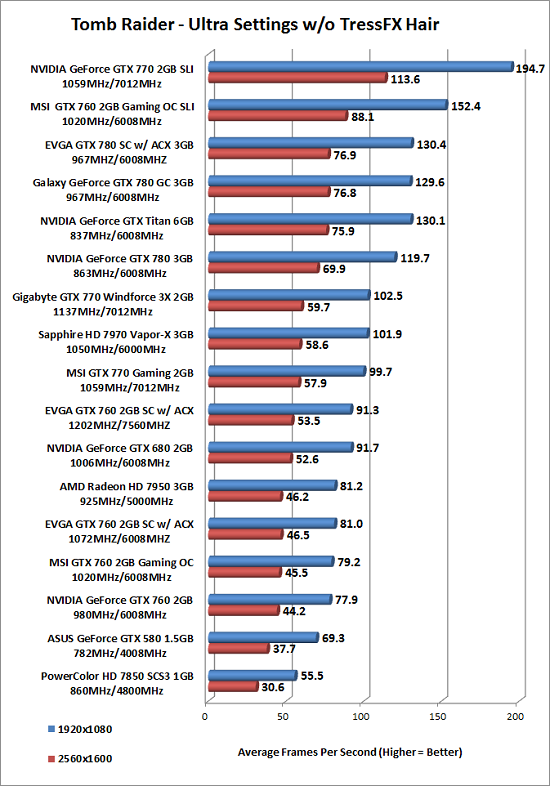 Benchmark Results: When overclocked the EVGA GeForce GTX 760 2GB Superclocked with ACX Cooling was able to perform just a tad faster than the GeForce GTX 680 at both 2560×1600 and 1920×1080! 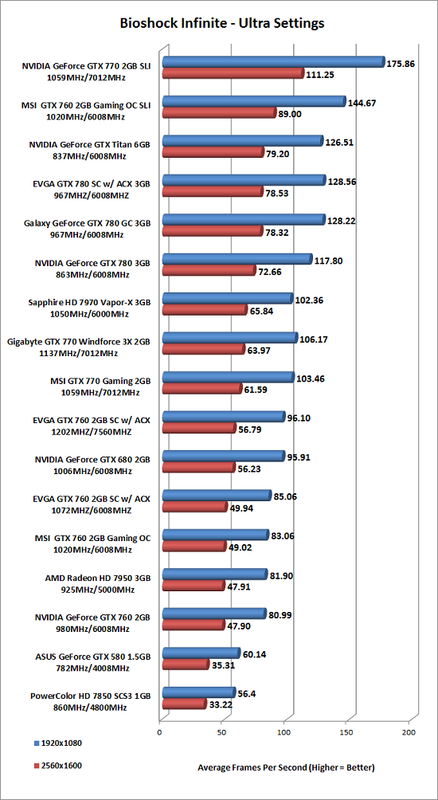 Benchmark Results: In Hitman Absolution the EVGA GeForce GTX 760 2GB Superclocked w/ ACX turned into a monster when overclocked and was able to perform better than the NVIDIA GeForce GTX 680 and the AMD Radeon HD 7950 video cards. It was on par with the some of the NVIDIA GeForce GTX 770 video cards! 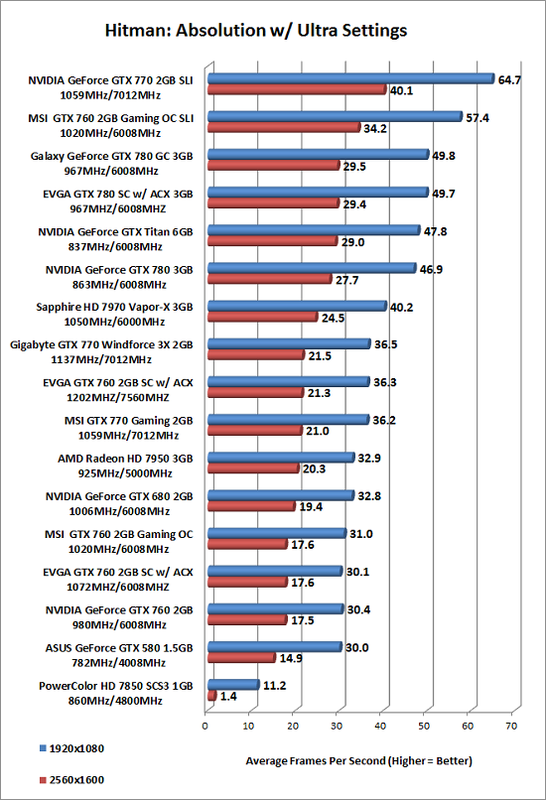 Benchmark Results: In Tomb Raider the manually overclocked EVGA GeForce GTX 760 2GB Superclocked w/ ACX cooling was faster than the AMD Radeon HD 7950 3GB video card across the board, but was basically in a dead heat with the GeForce GTX 680. No two NVIDIA GeForce GTX 760 video cards will overclock exactly the same, but this should give you an idea what you might be able to hit on yours!